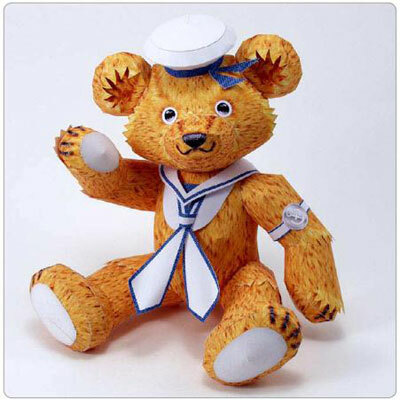 DIY teddy bear wearing sailor outfit for gift. Yes, you can make it and present it as a gift using the free template by Katsuyuki Shiga. This teddy bear has a name actually, called amerigo. It's definitely cute, though it will take some time to finish making it. Hmm, instead of giving it to others, using it as a decoration is also a good option and let it sitting among all your other toys. Before I forget, I should mention that the hands are movable. Means, you can pose it into any style that you want. Creative right? 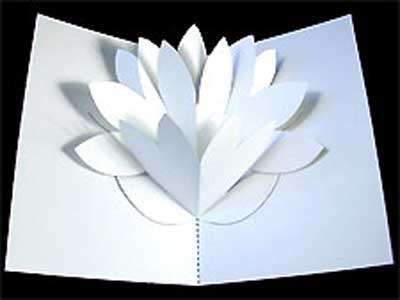 Another pretty greeting card that has a simple pop up mechanism that makes it more attractive. Download the free template pattern at Canon Creative Park. Beside this, you should check my previous post on mother's day pop up card. It also uses flower as the main attraction, carnation flower which is well known as official flower for mother's day. Making them would take your time but it worth it I guess. It's not like you gonna celebrate it everyday and you only have one person to call as a real mom in the whole world. Hello everyone, I have found a good craft directory for animal papercraft. It's exciting when there are many choices available. 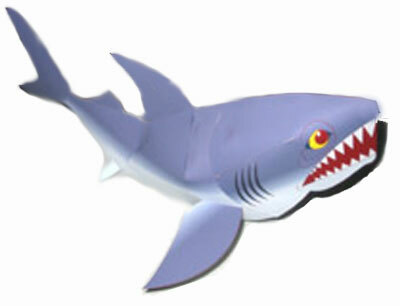 This shark paper toy are prepared by Ryu Tukisato with free template that you can download. Beside it, there are penguin, kangaroo, turtle, fox and more which I'll feature them one by one in the future. This will be definitely helpful if you are looking for a hand made gift made of papers since all are bundled into specific categories on an easy to navigated page. 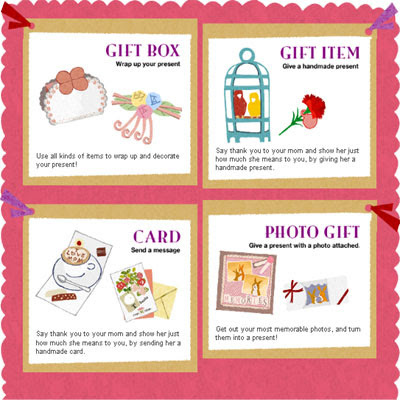 It includes gift boxes, gift items, card and more. I could say that almost all of the papercraft are interesting and beautiful. Most importantly, they are free complete with detail assembling instruction. It might looks like a rose but it is not rose. It's carnation flower, a symbolic flower that has to do with the bonds of affection. 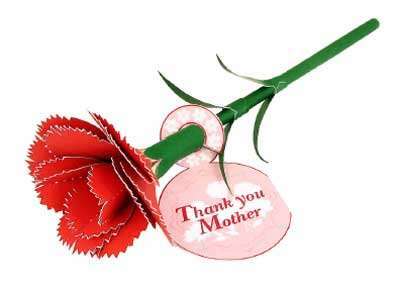 If your thinking of how it relate to mother's day then you better check this page on wiki, Mother's day and carnation flower. This paper carnation is prepared by Canon Creative Park with free template that you can download. There 3 choice actually, red, pink and mixed color. So which one did you prefer? If you are looking for stylish greeting card or diy pop up card for up coming Mother's day, I might suggest this one. It looks beautiful and most importantly, free template with a thorough graphical instruction. The sample is using plain white color paper. So if you want to make it more attractive, use colored paper to print out the flower pattern. 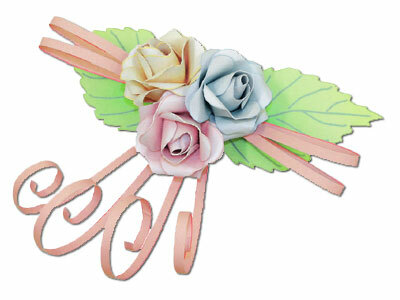 You could find more interesting crafts at the site and not only for mother's day. A birthday card with a cake shape pop up to celebrate your friend's birthday or just anyone. Instead of simple greeting, you can choose to make a cute birthday card by yourself. Self-made card often holds a greater value than our normal bought-from-store one especially when we think about thoughtfulness and time consumed on preparing it. 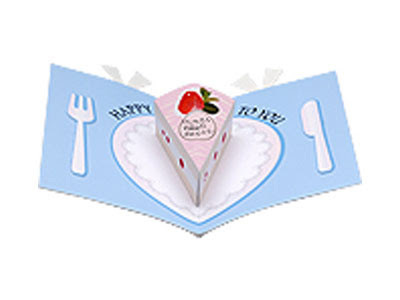 This cake shape pop up is one of the latest product of paper museum. Beside it, there are other cool cards that worth to bookmark. It's a cute paper dolphin and it has a special stand to hold the it. The stand is just an optional piece though. You can choose to go on without it in case you wanted to avoid displaying the japanese text. One more choice is hang it by a thread. This dolphin paper model is actually one of the many papercrafts that is being featured at epson aqua stadium. Beside it, there are other fishes such as gold fish, arowana, jelly fish, clown fish etc. If you mind to check my previous posts, we have featured hospital, school and fire station building. Each of them is accompanied by its own special vehicle such as fire engine and school bus. For hospital, the special vehicle is definitely ambulance. So if you wanted to have a complete set, make sure to check hospital building papercraft too. All of them are prepared by Canon Creative Park. 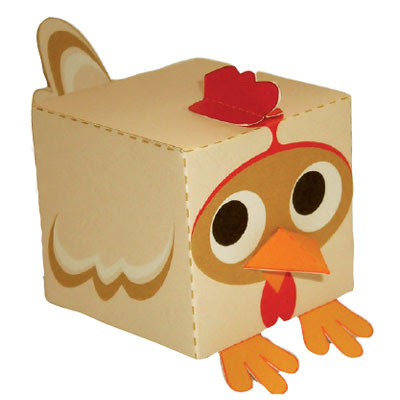 A cute cube shape chicken paper toys for your collection. It's a simple craft with free template that you can download at PaperBox World. This rose papercraft looks amazingly beautiful like being made by professionals. But I believe whoever gets hold of the template and tries to fold it following the instruction given, the result would still be the same. The only different might be the time consumed when making it. Well, it can be used as a gift or use it to decorate your gift box and bag, it is all up to your imagination. The color combination ; red, yellow and blue makes it look more charming and pretty. The Porsche 911 is a sports car made by Porsche AG of Stuttgart, Germany. It has a distinctive design, rear engined and with swing axle rear suspension, both like the Porsche-designed Volkswagen Beetle. 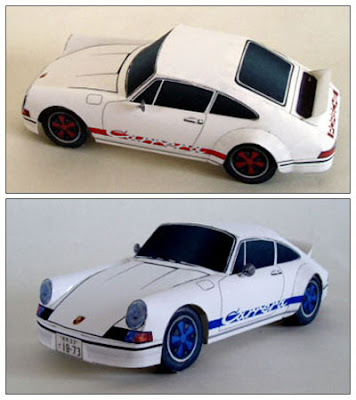 And if you are a fan of paper car, you can own the miniature model of it made of papers. There are 2 choices, red and blue stripe. Unfortunately only white color porsche is prepared but on contrary we can save some cost since it won't use much inks. The other choice is by using colored decoration papers, that's it. A replica of the famous landmark, Statue of Liberty that you can put on your table. This paper model has free template that you can print out prepared by Canon Creative Park. A good art work to be honest. 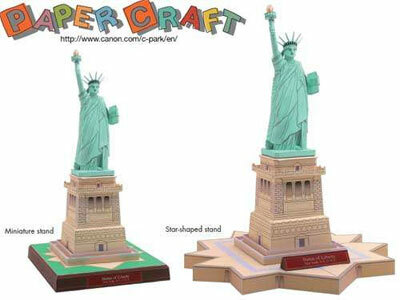 This miniature model of Liberty Statue is one of many famous architectures that you can make yourself among all the other papercrafts you can find at the site. Assembling process is quite complicated but it will worth your time. You can choose between 2 stands, square and star like you see in the picture so it is up to you.